Criel-sur-Mer is a small seaside resort, pleasant for those looking for a quiet stay in a protected environment, away from the bustle of fashionable destinations. 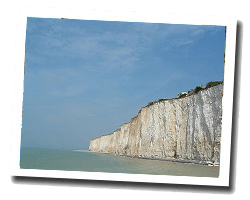 Pebble beaches are framed by the highest chalk cliffs in Europe. The village of Mesnil-Val-Plage kept beautiful seaside villas of the 19th. 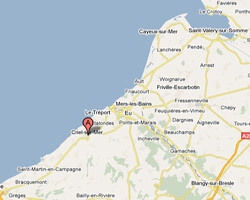 In Criel-sur-Mer enjoy a seaview holiday rental. This villa of 30 years, divided into 3 apartments, is located 300 meters from the beach and 1.5 km from the center of Criel-sur-Mer. Each apartment has a private entrance that opens directly onto the garden. 4 Bedroom(s), 2 double bed(s). short stays possibility. Final cleaning : 40 €. 3 rooms Apartment in the "Le Domaine de la Plage residence". Balcony. Distance to the sea: 50 m. View of the sea and the cliffs.